elle & laine | Celebrate Every Day! So tempted to bust out the Christmas decor! Usually I move from Halloween to Christmas without much pause. 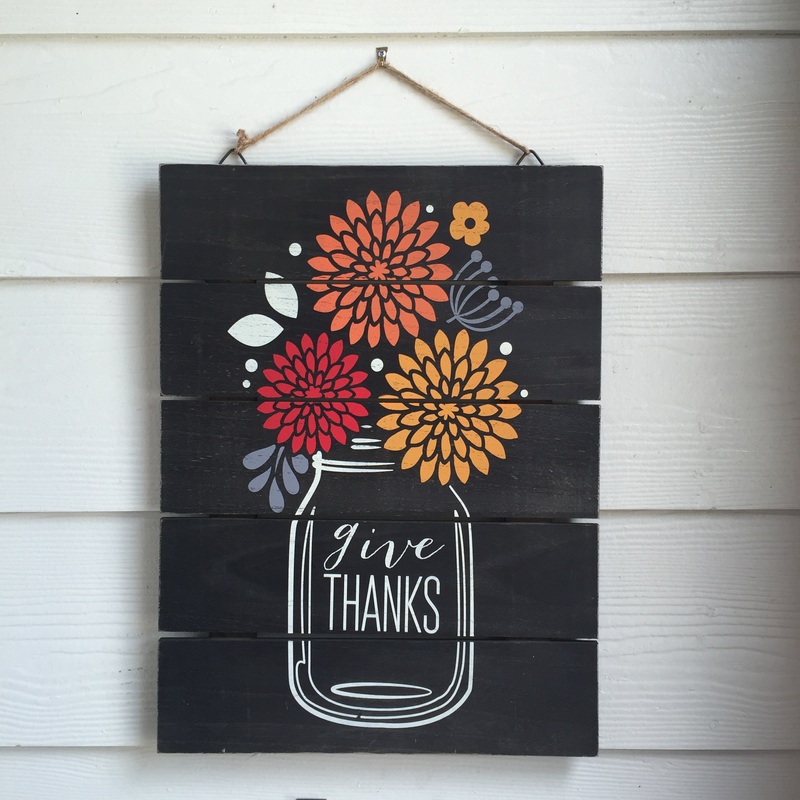 This year we’re trying to slow down and be present in this season of Thankfulness. I transformed our Halloween mantel to a Thanksgiving mantel with just a few small changes. Pop open the kids mandarin orange cup with 100% juice 😊…pour a tablespoon of juice in, and add a few mandarin oranges. Stir it up…add “big ice” (giant square or ball of ice from those super fancy ice molds at the addictive kitchen stores! Four months and who knows how many hours of labor…our Magnolia inspired playhouse is finally done! The idea to attempt building a playhouse came when husband brought home a truckload of discarded wood pallets. While our intention was to repurpose these pallets, we found limited sturdy pieces that we incorporated where possible. First up was the footprint and framing. We did not have a blueprint other than a sketch husband put together. It’s HOT in Texas so we vented the walls by spacing the boards about and inch and a half apart to keep air moving (I stashed a fan in there as well). Also, the roof is a plastic type material and not tin as it may appear. With the addition of my go to Jo Jo paint color (alabaster white) and the deck this little house started to take shape. The window frames needed a little pop of color so the gauntlet gray color was added, along with french gray floor inside the house. Our last step was adding stain to the deck and we built a little shelf for storage inside the house. While this project took way longer than expected we can’t be happier with how it turned out. Next phase of the project is a little landscaping, lighting, and accessory shopping! Stay tuned! As we say goodbye 2017 and hello 2018 I like to focus on hopes for the new year. As always I immediately go to work life balance and hope for a more peaceful resolution then the year before. Since this seems to come up year after year it’s safe to say we’ve not figured out the ideal situation, but seem to at least maintain a reasonable amount of balance. It’s easy to get caught up in the crazy and miss out on the calm. We can find ourselves spinning out of control and not even notice the rest stop staring us in the face. “Count your blessings” is easier said than done. My hope is that we simply take more time to breathe and not miss the good already in place. Pirates, pixies, and mermaids…This was the answer Laine gave to my question of what type of birthday party she wanted. Naturally Neverland came to mind, and the planning began. I always start with a color palette. For this party I became a little obsessed with these adorable fairytale plates I found online and wanted to stay comporable to the color/style, but keep Neverland in mind as well. Candy pink, emerald green, and light blue balloons with gold curling ribbon topped off the mint green table covers. Next came my favorite part, the party favors, which were felt pirate hats and glittery crowns, along with pirate loot (bubbles, necklaces, pencils, and gold coins) in white and gold spotted bags! Cupcakes in simple chocolate or vanilla with white icing, topped with glitter star picks, and ice cream cups were just right for the mid afternoon party time. Last but not least the invitation to get the word out! I decided to pull characters from the party plate I was obsessing over and place them in a map of Neverland, as well as use the classic image of Peterpan and friends flying off to the second star on the right! Gold washi tape was added for sparkle and off it went. Here are a few more party pics. This was one of the simplest parties I’ve put together. Sometimes less is more! This morning hubby entertained the girls while I had some mommy time. Fall is just around the corner so I decided to take a trip to Hobby Lobby and grab some supplies. A quick trip to Starbucks for a flat white and off to hobby lobby for some high octane crafting. First on the list was to find this sign I have been waiting to buy on sale and it was! I love Fall for all the warm colors, cooler weather (not like it gets that much cooler in the Fall in Texas, but it’s not 100 degrees! 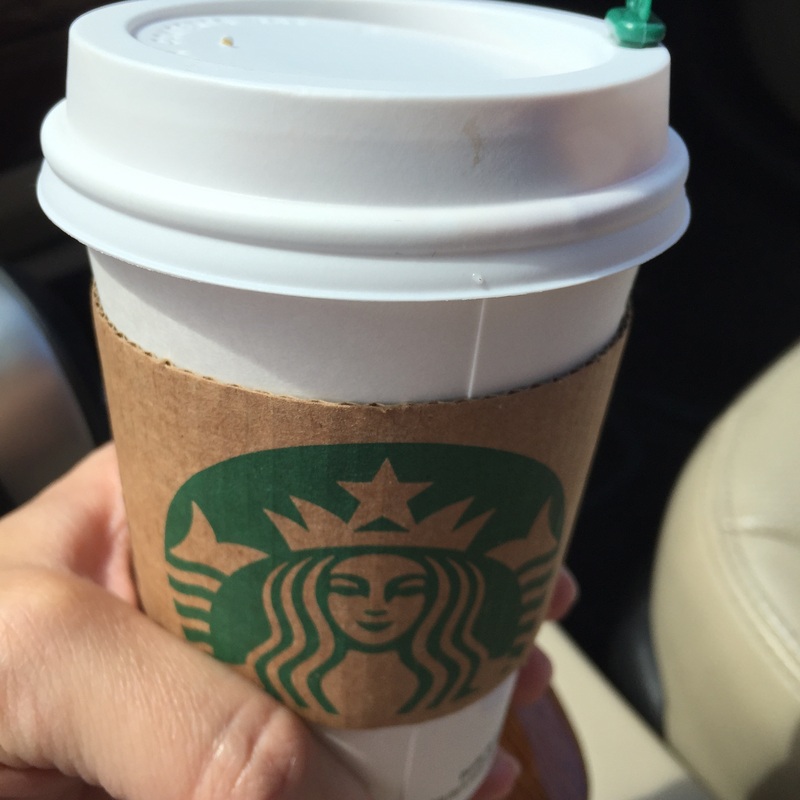 ), football season and we can’t leave out the PSL (pumpkin spice latte). Then for the fall wreath I decided on a yarn wrapped wreath with little felt flowers. 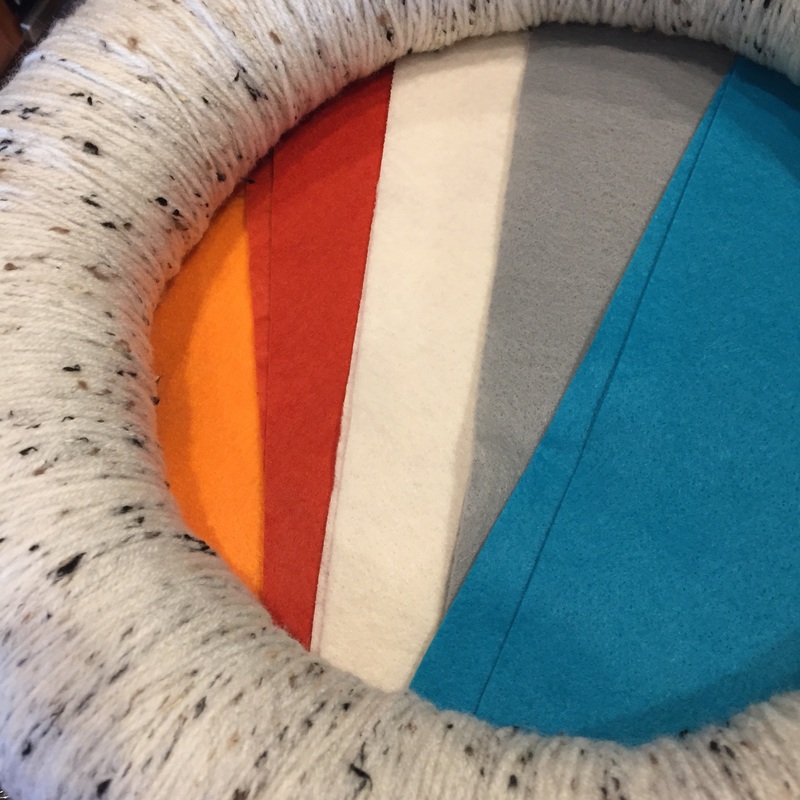 Here is a peek at the completed wrapped wreath and the felt that will soon be flowers. Check back soon for the completed project! Can you imagine what I thought at first glance of this in a dark attic? Ha! 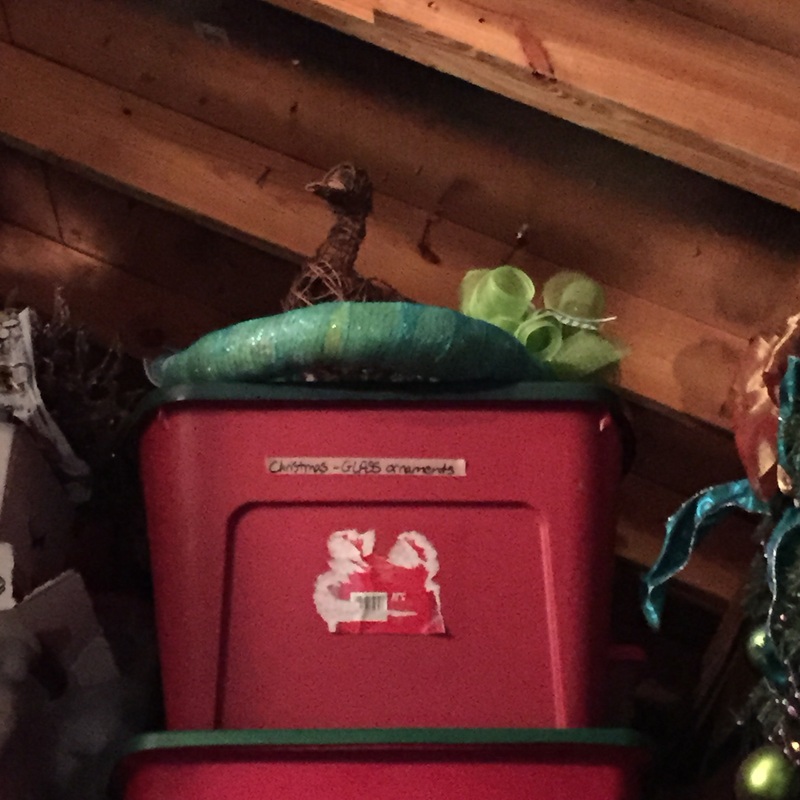 I about fell down the ladder thinking a duck had taken up residence in my back to school spirit wreath! It’s back to school and time to pump the kids up by showing school spirit! 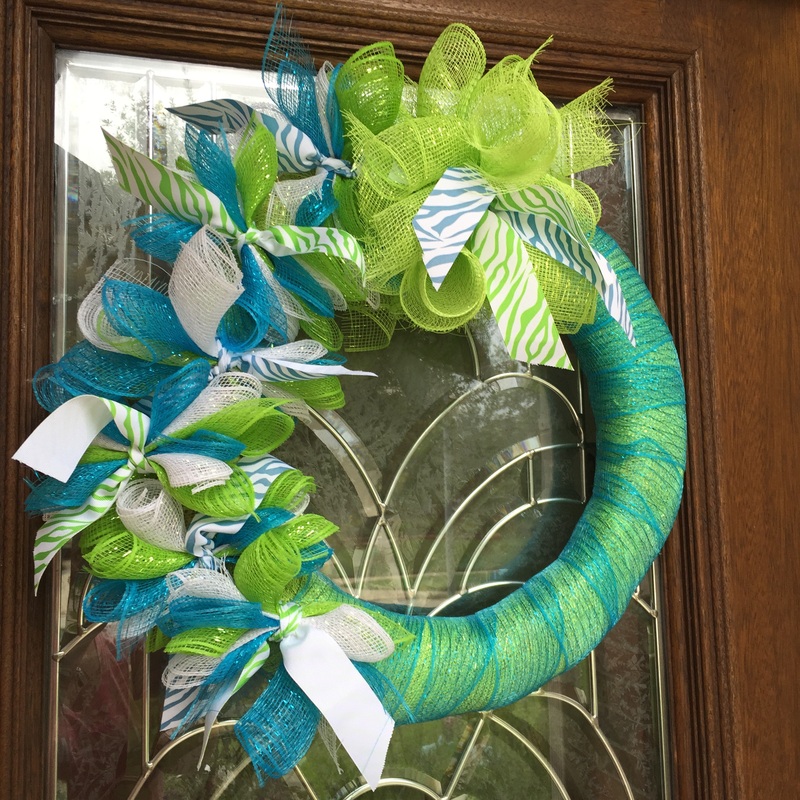 Since Elle started school I have tried to show school spirit by making a spirit wreath, decorating with school color streamers and balloons, buying the school shirts, etc. I feel like it helps build morale, gets her excited about school, and lets her know that I am interested in what she is up to. Show a little school spirit this year and watch their smiles grow! I’ve apparently been diagnosed with an affliction that is met with great sympathy and the look. You know the “I’m so sorry for you” look that causes the lips to press together in a pouty line accompanied by a head tilt. Yes, it’s working mother syndrome. “Hey girl, you should join us for that bible study on Monday mornings, oh you work? Oh I’m so sorry…”, or “we sure could use help decorating for the class Christmas party, oh you work? Oh I didn’t know”. Don’t get me wrong I know it’s not meant to come across in the punch to the chest manner I am receiving it. Most of the time these women are some of my greatest supporters, that truly do get it and don’t mean anything by this, but still others I can tell have just classified me as the career minded mother who would rather not be involved. So how do we find that balance? Set boundaries on where work ends and home life begins. This is not easy to do as undoubtedly something comes up that crosses over into the other, but try and at least have a guideline that is respectful of the two worlds. Say no…be able to commit to extra activities and don’t be afraid to say no if the plate gets to full. Just today I had to decline an invitation to work at the church on Wednesday nights with the children’s choir because of the stress it puts on the family trying to make it there mid-week. Living in a major city like I do the work commute is a natural time factor and in my case it’s a big one that makes it very hard to be anywhere extra in the week after work. Even though I feel that this time at church is a good investment of time, it still puts a huge strain on the family. Don’t be afraid to ask for help. I can’t even begin to count the number of times I have had to ask my mom to bail me out and pick up the girls from daycare or school, take one of them to the dentist, etc. It’s not a sign of weakness and if the help is there take it! Give yourself a break. As I have said before mom guilt creeps in and is deep rooted but understand that you can’t do it all, be all, and know all. We recently took a family vacation to Disney World. Given our road trip history we decided it would be best to fly, so off we went into the wild blue headed to Orlando. Backing up a bit, Laine is three and pretty much a potty pro but still has some issues staying dry during nap and through the night. This flight was a two hour flight and I thought we would be fine in our normal wardrobe routine until Laine fell asleep…yes, as you might have guessed IT happened! About 45 min. to landing time I get a tap on my shoulder from the man sitting behind me, “excuse me, but there is water dripping from the seat”. Little did he know that was not water, but we‘ll go with that. Thank goodness the seats were leather and I could wipe it up with wet wipes, then I grabbed the backup outfit from my bag and changed her right there and this time put her in a pull-up diaper. The man never said anything else and our flight landed with no further incidents. Note to self, when traveling with a potty newbie; make sure to revert back to a diaper to cover accidents in off moments like this one. So you know your at a low point when a grocery store clerk asks if your excited about school starting back up and you start to tear up. 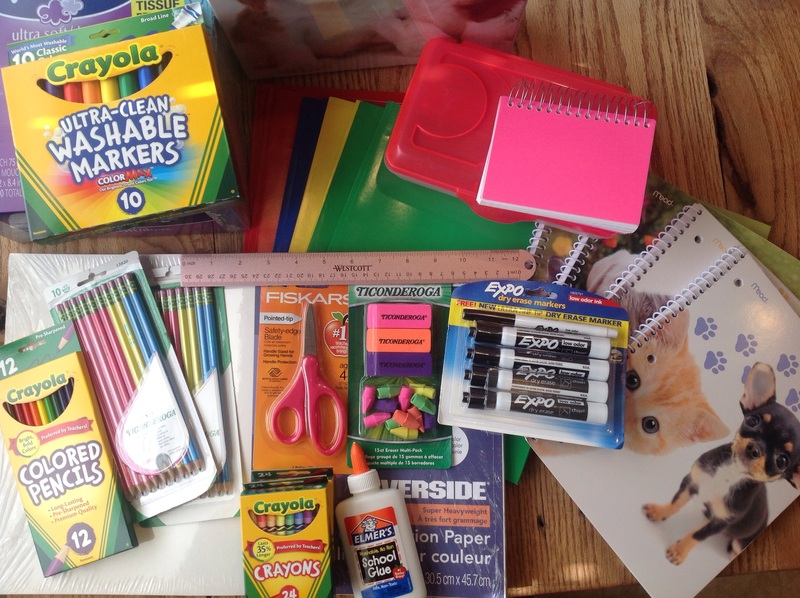 Yes, this was me earlier today while attempting to gather up supplies for the start of Elle’s second grade year. The very thought of back to school gives me hives! As a full time working mommy of two summer is always easier. Yes, summer has its challenges as just because school’s out for summer, the corporate world dose not take a break, but the school year/work combo is rough. Mom guilt goes into overdrive when the requests for room mom come out, PTO meetings happen on weekday mornings, or when the school calls to come pick up your kid and the first thought is, can I leave the office, maybe grandma could pick her up or take the replacement pair of shoes up, or could husband get away from work. So back to the grocery store clerk who triggered this thought provoking post, well, as I was standing there with other mommies who most likely would answer yes to this question, I just smiled and said yep, sure am. No sense in inflicting my rant on this poor unsuspecting store clerk. This momma’s hearts desire is to be a stay at home mom…the idea of this is overwhelming and can be all consuming but for now my role is working mommy. It’s a balance for sure and important to prioritize. My girls come first, even if that means the mood changes at the office…on one side you have the mom guilt and peer pressure from other moms when you can’t volunteer or participate in everything that comes up, get your kids to after school activities, etc., and then on the other side you have the pressure to perform at work, be available, a team player. The two sides don’t seem to ever be able to marry up. For now I pray. Pray for ease of schedules, flexibility, strength, and humor to be able to roll with it.